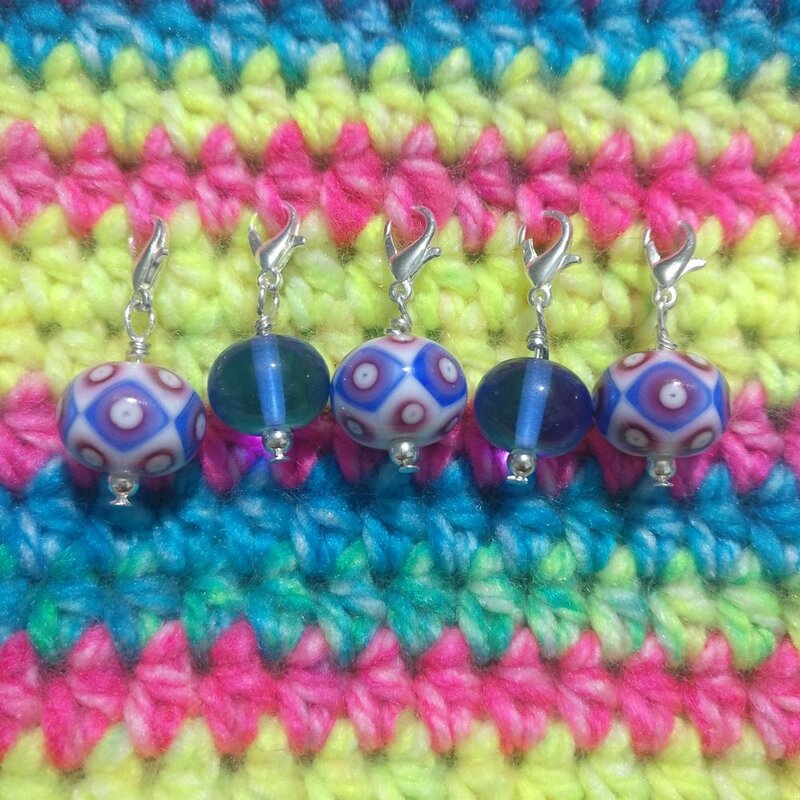 Misa from Misassortments has made these fabulous dangly crochet stitch-markers using some of my beads! If you’re quick about it, you might be able to snap them up in her online shop! 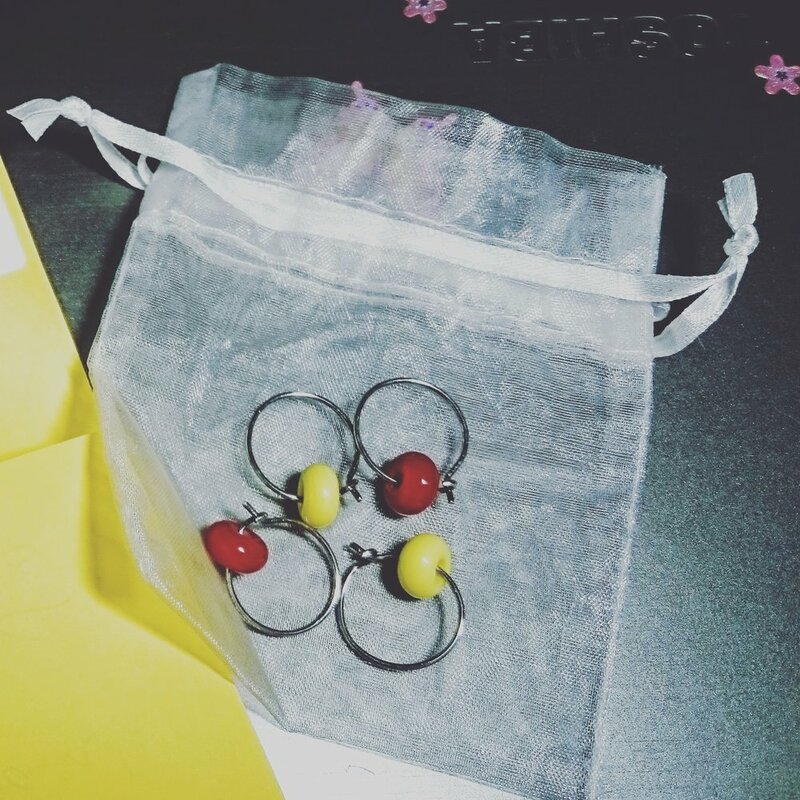 Theresa - whose work you have already met in the post below this one - came to me for an all-day one-to-course back in September, having never made lampwork glass beads before. Wanting to then consolidate what she had learned, at the beginning of October she came for a couple of hours of independent ‘torchtime’ at the Let Fire Inspire workshop, and practised shaping the glass in the flame and working with an assortment of stringers to make some bright dotty beads. Theresa and her toddler grandson Lonan then had a brilliant time making this fabulous necklace - they’re both really pleased with it, and Theresa has kindly allowed me to use her photograph of it here. Our next torchtime session is in the diary for next week - I can’t wait to see what Theresa makes!